• Located only at 8 km from the beautiful and cultural city of Castelo Branco. 2 hours from Lisbon, 2.45 minutes from Porto and 4 hours from Madrid . An interesting geographic triangle between Portugal and Spain. • 30 minutes by car from the famous BOOM FESTIVAL and 55 minutes from SERRA DA ESTRELA natural Park and sky resort. c) Small ruin to be rebuild and increased in area. e) The morphology of the land is ideal for creating different environments, all with privacy , which makes of the property the perfect place for retreats, workshops, small events, or simply to create your own paradise in nature. f) Very good agriculture land. 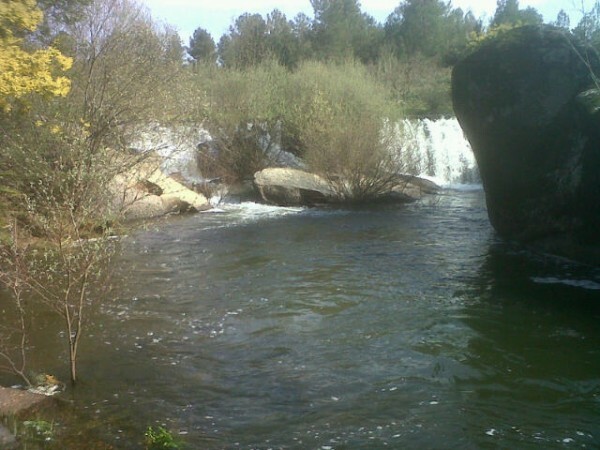 g) 15 MINUTES WALKING DISTANCE to a charming hidden waterfall and lake. h) PLEASE BEAR IN MIND THAT THESE PHOTOS WERE TAKEN at PEAK OF THE SUMMER AND THAT THE PROPERTY HAS NOT BEEN LOOKED AFTER FOR SOME YEARS, it needs some Love. Support with local authorities will be provided if needed .